Remove the crankshaft balancer. Refer to Crankshaft Balancer Replacement. 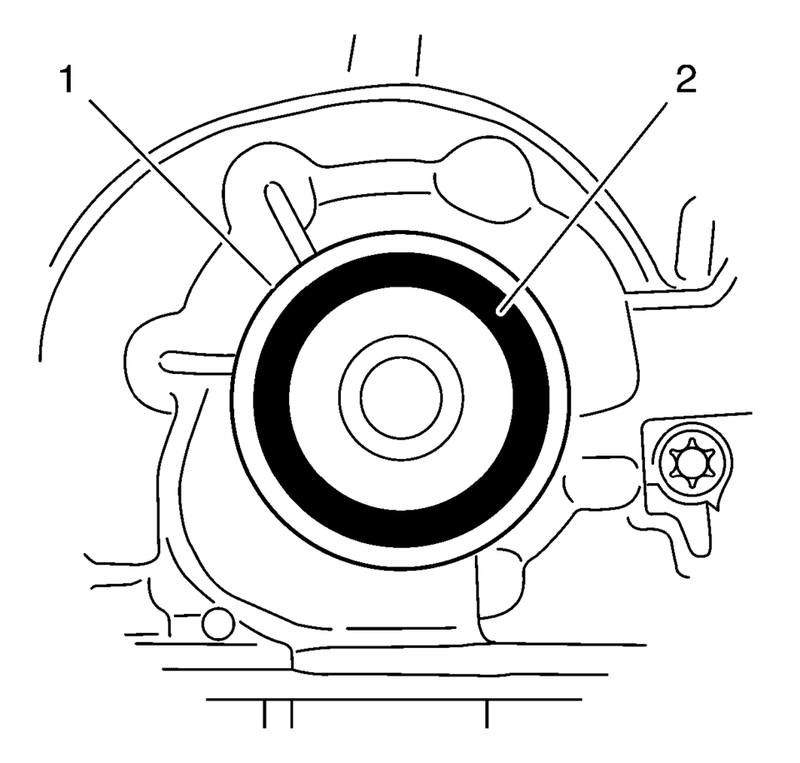 Place a drain pan underneath the front crankshaft seal area. 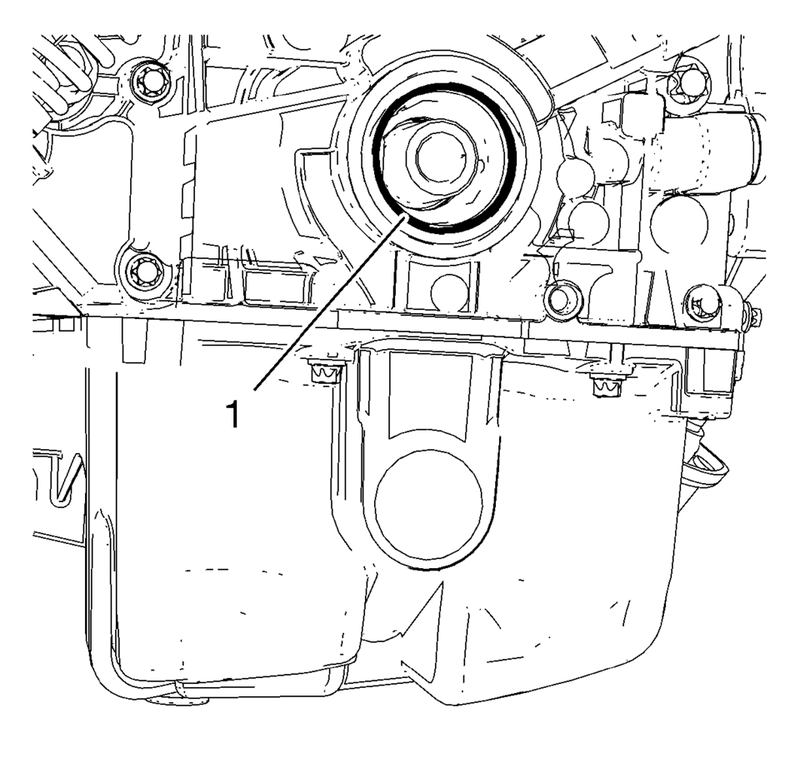 Remove crankshaft front oil seal (2) from engine front cover. Use EN-45000 remover (1). 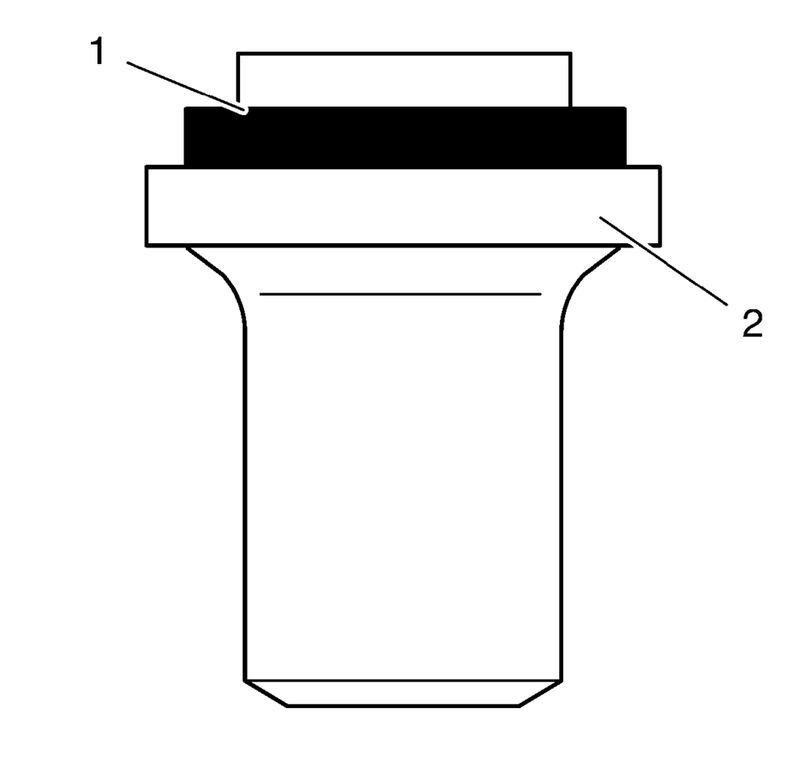 Install NEW crankshaft front oil seal (1) to EN-960 installer (2). Install crankshaft front oil seal by means of EN-960 installer (1) to engine front cover (2). 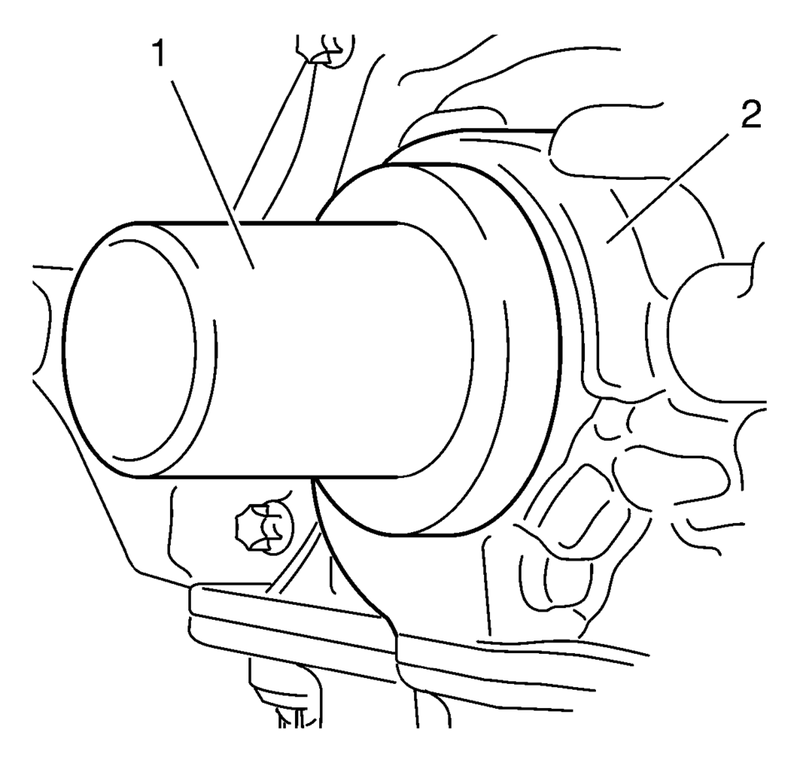 Ensure that crankshaft front oil seal (2) is flush with engine front cover (1). Install crankshaft balancer. Refer to Crankshaft Balancer Replacement.